If you have lost your life savings or a large amount of money through a fraudulent investment scam which you were encouraged to invest in by an investment broker, feel free to submit an inquiry or send an e-mail to Texas Ponzi Scheme, Broker Fraud, and Investment Broker Negligence Lawyer Jason Coomer. He may be able to help you recover your losses or at least obtain an accounting of the investments. He handles broker fraud and broker negligence claims including careless investment advice, deceptive investment advice, inadequate risk warnings, churning, conflicts of interest, and other unethical broker wrongful acts. It is an all too common scenario, a person hires an investment firm or broker and follows their investment broker's recommendations, trusting this broker's expertise with their life savings or a substantial amount of money. Unfortunately, the stocks that the broker selected plummet, the brokerage firm's CEO is all over the news defending his company against allegations of securities fraud, and the life savings of numerous investors are lost. Unfortunately, tens of thousands of investors have been a victim of broker and financial planner fraud and negligence. "Andrew Cuomo, the New York Attorney General, today charged the managing partner of Gabriel Capital Group and former GMAC Financial Services chairman with civil fraud. Mr Cuomo alleged that Mr Merkin: "profited enormously from Madoff's scheme, reaping huge commissions while investors lost all their money." The complaint, filed in New York State Supreme Court, said investors, including several prominent charities and non-profit organisations, entrusted their investments to Merkin. The hedge fund manager then steered client money to Madoff without their permission, in exchange for $470 million in fees, Mr Cuomo contends. Mr Merkin's three funds are Ascot Partners LP with Ascot Fund Ltd, Gabriel Capital Corp and Ariel Fund Ltd." "Top Money Manager Ezra Merkin Charged with Civil Fraud in Madoff Case Andrew Cuomo, the New York Attorney General, Today Charged the Former Chairman of GMAC Financial Services of Civil Fraud", Times Online By Susan Thompson, April 6, 2009. "KPMG, PricewaterhouseCoopers, BDO Seidman and McGladrey & Pullen all gave clean bills of health to the numerous funds that invested with Bernard Madoff and his asset-management firm. Clients say the large accounting firms signed off on statements that said the Madoff investment vehicles had billions of dollars in assets as well as an unlikely track record showing years of always-positive returns. The billions have vanished, and the impressive returns now look to have been made up." "The Madoff Fraud: How Culpable Were the Auditors?" Time By Stephen Gandel, Wednesday, Dec. 17, 2008. Austin broker fraud Attorney, Jason Coomer helps investors that have lost money through wrongful acts of majority shareholders, corporate officers, and brokers. He reviews investment strategies, accounting records, corporate actions, and investor trading; negotiates settlements; and if necessary files claims against negligent or fraudulent brokers. 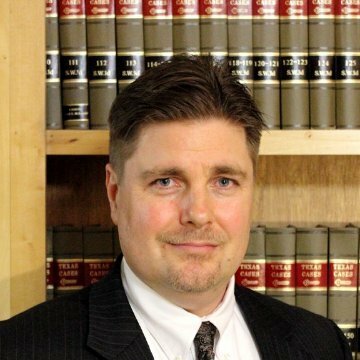 Austin Business Lawyer, Jason Coomer is an experienced business litigation attorney that handles investment fraud, shareholder actions, commercial real estate law, computer law, and other business litigation. His office frequently works with other professionals including Houston Investment Fraud Lawyers, Dallas Broker Fraud Lawyers, San Antonio Investment Fraud Lawyers, and other Austin Investment Fraud Lawyers to provide high end professional legal services at reasonable prices. Austin broker fraud lawyer, Jason S. Coomer, helps business investors protect their assets and negotiate with negligent brokers and brokers that have committed investment fraud. If you need an Austin Texas Broker Fraud attorney or an Austin broker negligence lawyer to advise you on a Texas investment fraud claim, contact Austin Texas Investment Fraud And Broker Negligence Lawyer Jason Coomer.